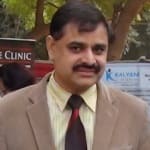 Dr. Suresh Ahlawat is a trusted Dentist in Sector-56, Gurgaon. He has been a successful Dentist for the last 24 years. He has done MDS, BDS. He is currently associated with Muskaan Dentals in Sector-56, Gurgaon. He has been reviewed by 50 patients. You can book an instant appointment online with Dr. Suresh Ahlawat on Lybrate.com. Lybrate.com has a nexus of the most experienced Dentists in India. You will find Dentists with more than 27 years of experience on Lybrate.com. You can find Dentists online in Gurgaon and from across India. View the profile of medical specialists and their reviews from other patients to make an informed decision. *LECTURE ON "ORAL HEALTH'S IMPACT ON OVERALL HEALTH"
MUSKAAN DENTALS PROMISE LIBERTY FROM CAVITIES !!!! FREE CHECK-UP & X RAY TO OUR OLD REGISTERED PATIENTS AND THEIR FAMILIES ON REPUBLIC DAY TILL 2ND FEB 2015 !!!!! Your tooth brush needs to get replaced after every three to four months. To keep all dental problems at bay, start brushing your teeth twice a day.